Something unbelievable happened. No, Starbucks didn’t re-release Epcot Purple, but this one is also crazy. Just look at the picture. It’s just You Are Here Christmas – Paris I hear you’re saying? Wrong! 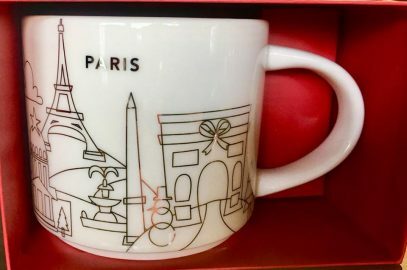 As it was noticed by a Facebook user, this upcoming mug is different from what we saw a year ago! As you can see dotted lines were replaced with solid ones and the Christmas bow is missing. To be honest with you, I am not even sure whether I am happy or sad. On the one hand it is great that YAH family got another member, on the other hand the difference is barely noticeable. One might think they cut the budget for the designers team. The real question though, will there be v2s for other 4 Christmas YAHs: Berlin, London, Prague and Moscow? Want to know more? Stay tuned. I will definitely update the post with better pictures as they appear. Update 2017-11-01: updating the picture. 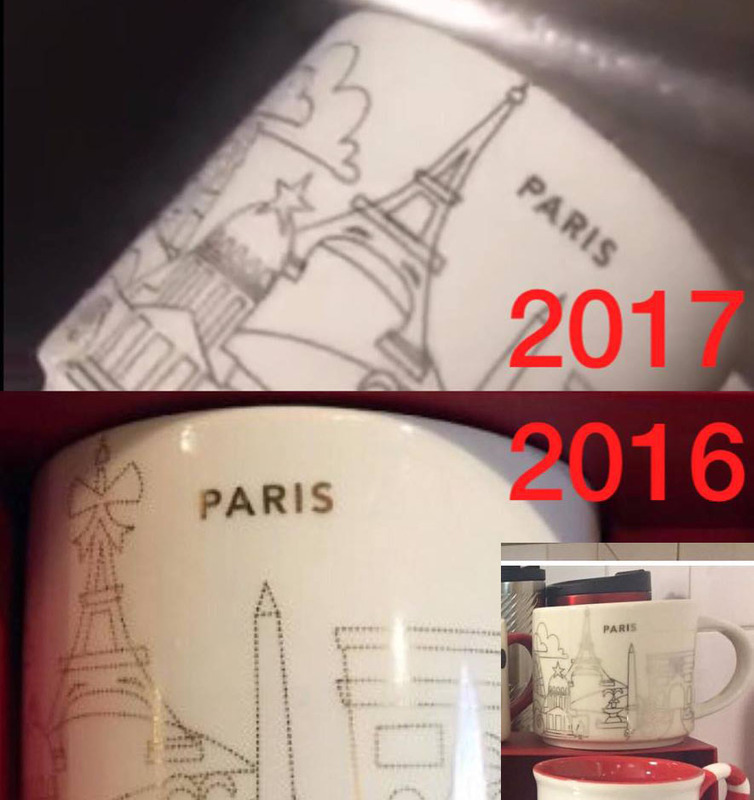 And yes, looks like all mugs from 2016 will get second version.